Bringing your ideas to life ! WordPress is a platform that provides a stable power to the backend that helps in managing the content of the website in an easier way. Having a website for any business provides a good upfront and platform to our business. It helps people to know about us. As if a store does not look good, then people tend to move away from the store in the same way if a website does not look good, respond quickly on the desktop as well on mobile devices then people will avoid using it. Solution to this problem is WordPress. It is a powerful ‘Content Management System’ that provides an ability to create and organize the content for all the pages of the website. In addition, it makes very easy to upload media files too. 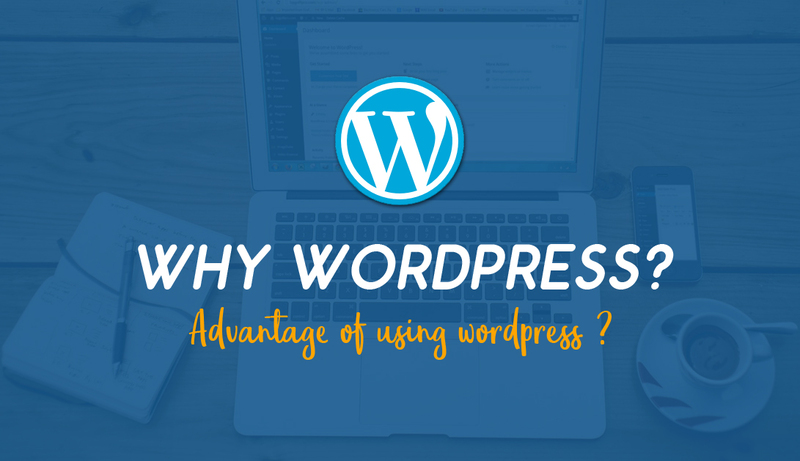 WordPress is one of the best CMS and its capabilities are much greater than the other CMS that the reason why big companies like New York Times, TechCrunch, and Inc. etc. use it. Website as a blog: With the help of the WordPress, we can either integrate a blog to our website or turn our website into a blog. By doing this, we can continuously interact with our customers and provide them the latest information related to our business. WordPress continuously updates itself: WordPress automatically update itself in order to provide better security and safety to the user. Open Source: It is an open source platform, which means any developer can contribute to it in any form i.e. in form of plugins, themes and updates and all these updates, does not cost the user a single penny. SEO friendly: There are several plugins available on WordPress that will help in improving the search engine rank of the website like Yoast SEO plugin. Standard Coding Procedure: It follows standard procedure for developing any website, which makes it easy to reprogram in case the web developer changes.